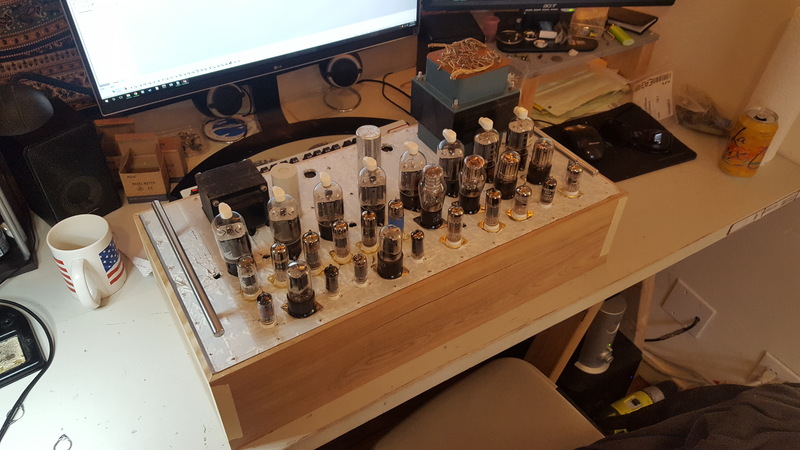 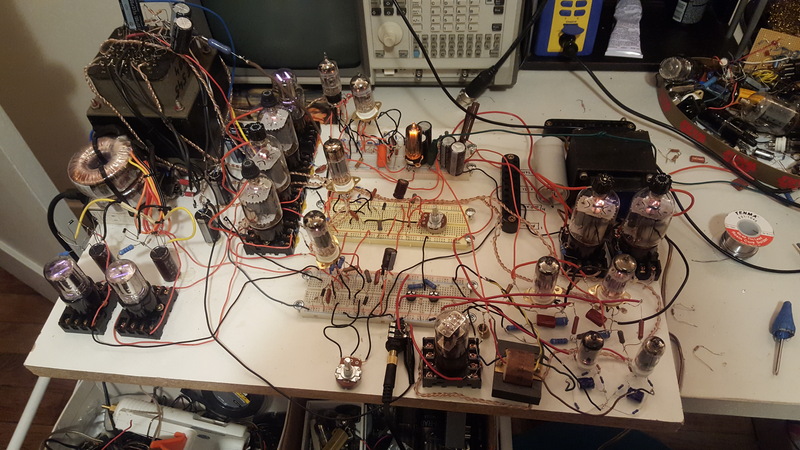 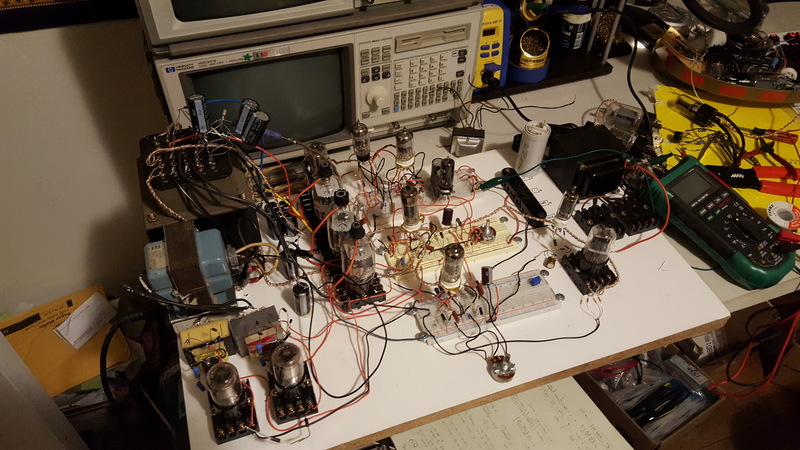 Personal design project of a high powered stereo audio amplifier. 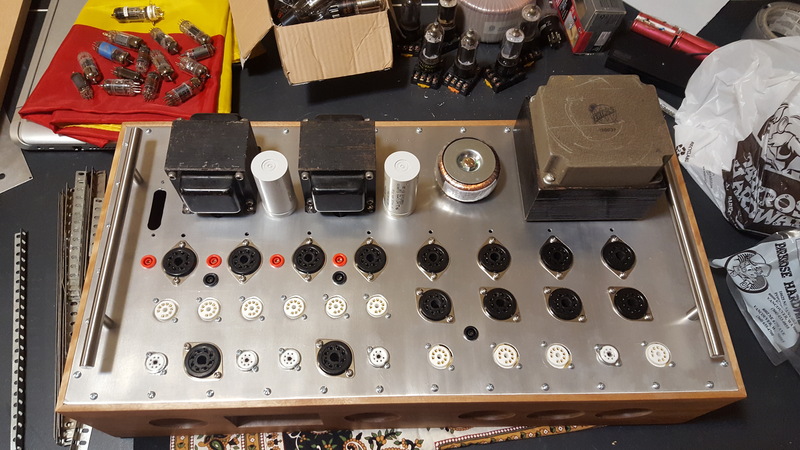 The design is comprised of a custom analog electronic circuit enclosed in a custom hand-built chassis. 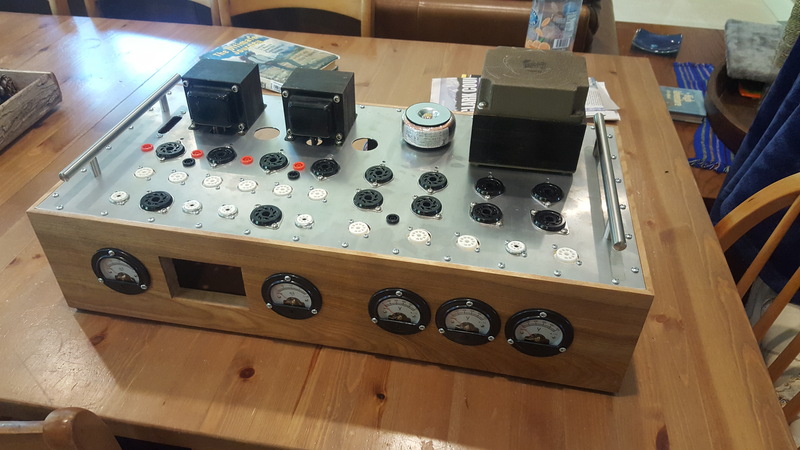 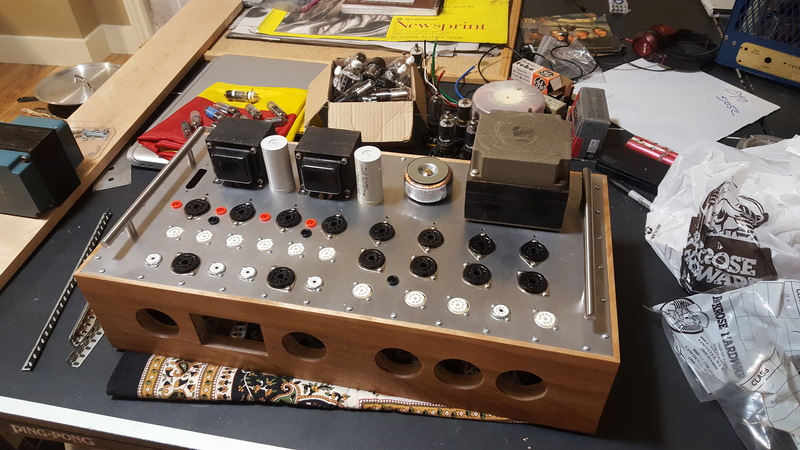 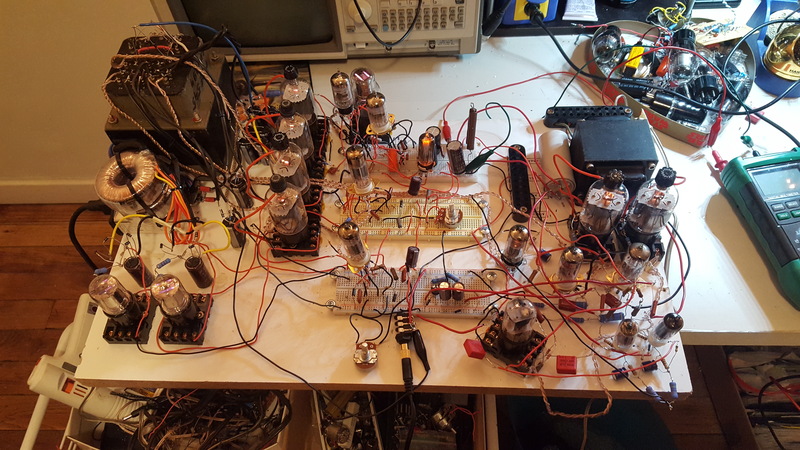 The circuit is built around a stabilized power supply that deliver over 100 Watts continuous power to an audio circuit capable of 100 Watts per channel. 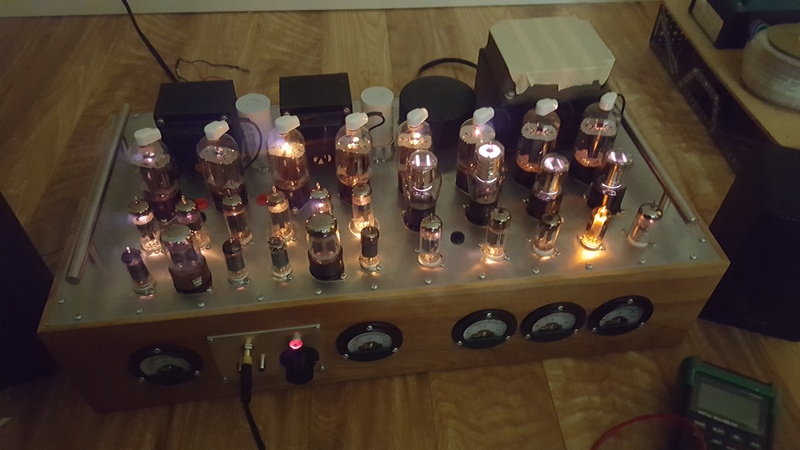 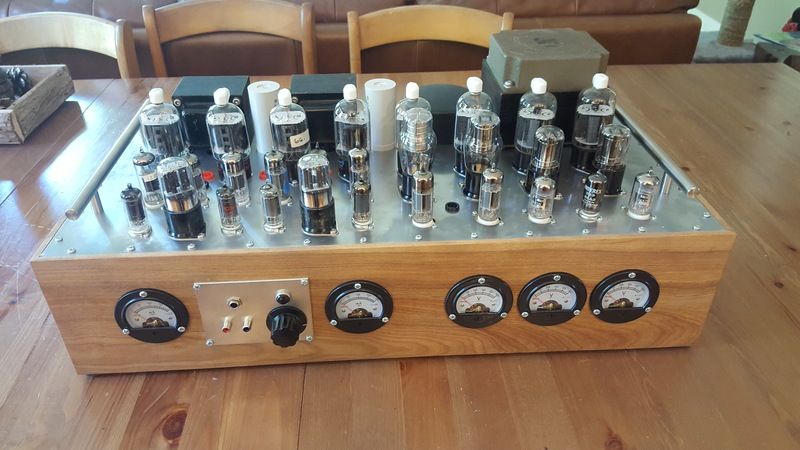 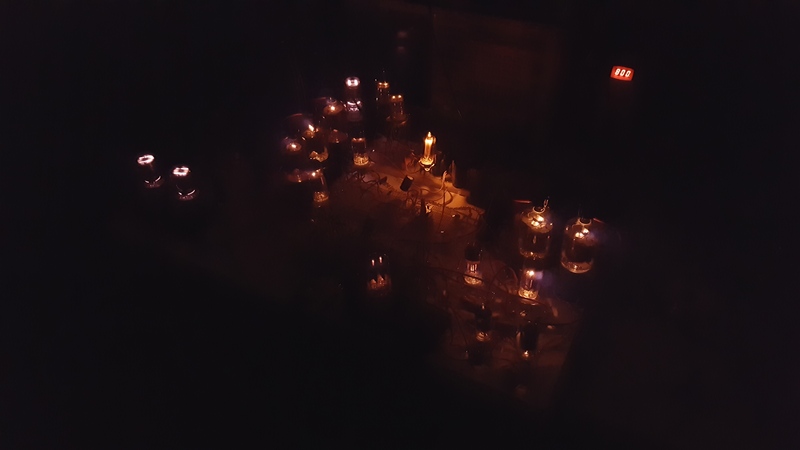 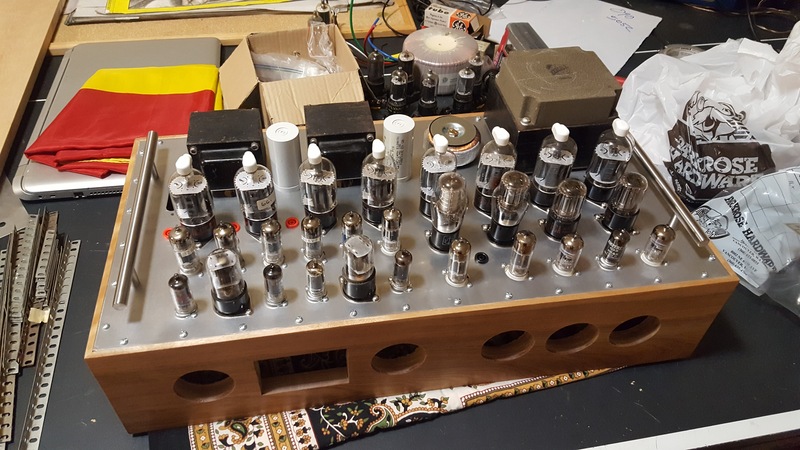 The primary amplification devices are antique vacuum tubes from the pre-transistor era. 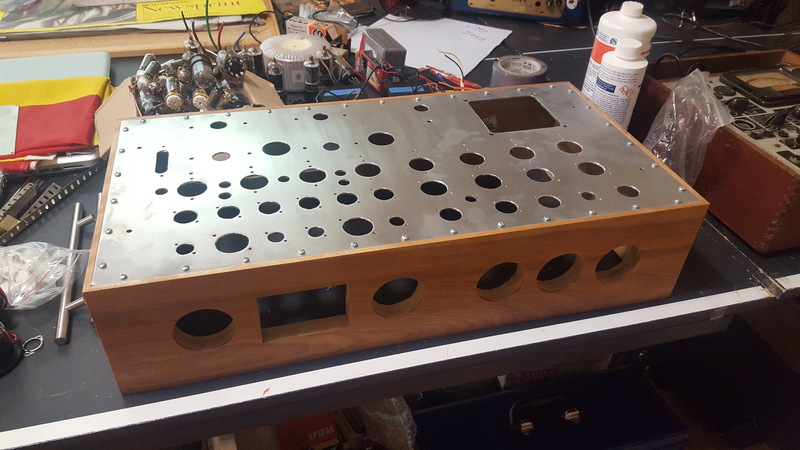 The custom chassis is hand-finished beech wood with a custom milled aluminum mounting plate. 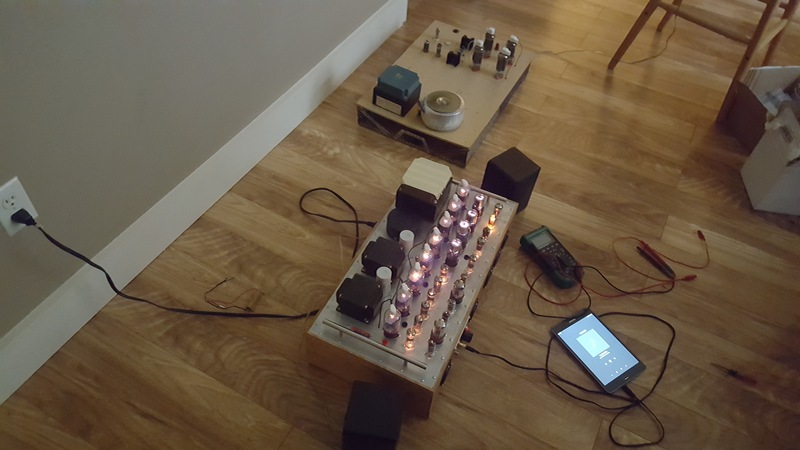 The stereo can take multiple inputs and is fully integrated, being able to achieve full power output from typical sources (CD, mp3 players).